The multi-system emulator, emulates virtually everything that has ever existed. 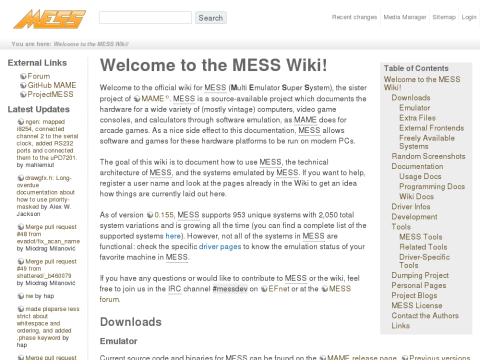 MESS is a source-available project which documents the hardware for a wide variety of (mostly vintage) computers, video game consoles, and calculators through software emulation, as MAME does for arcade games. As a nice side effect to this documentation, MESS allows software and games for these hardware platforms to be run on modern PCs. Probably the most important emulation project ever.